Frank Langfitt Frank Langfitt is NPR's London correspondent. He covers the UK and Ireland, as well as stories elsewhere in Europe. January 30, 2011  Officials in Sudan just released a preliminary tally for this month's independence referendum. The results were overwhelming; nearly 99 percent have voted to secede from northern Sudan and create their own country. January 10, 2011  Sudanese had waited for this day for decades and were very excited. January 10, 2011  During Sudan's civil war, Valentino Achak Deng fled to Ethiopia on foot, one of the so-called Lost Boys. Deng's life became a best-selling novel in the U.S., and he returned to his homeland to build a school. As Southern Sudan votes on independence, he says he harbors optimism about the future. January 10, 2011  In Southern Sudan, millions of voters started streaming to the polls Sunday -- traveling by foot, mule, bicycle and boat to cast ballots over whether the south should secedes from the north. The vote caps a decades-long period of war, death and disease that was halted six years ago by a peace accord that paved the way to Sunday's referendum. January 9, 2011  Voters in southern Sudan cast their ballots in a referendum that will likely lead to the formation of the world's newest nation. The referendum is part of the peace deal that ended the 1983-2005 civil war between the north and south. January 8, 2011  On Sunday, millions of people in Africa's largest country begin voting on whether to split it in two. After two decades of civil war with the North, the people of southern Sudan have a chance to choose their own fate. 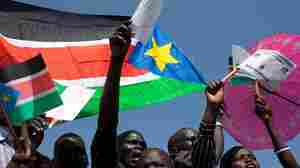 January 7, 2011  Southern Sudanese are expected to vote for independence in polling that begins Sunday. But like most places ravaged by war, it doesn't have strong institutions to fight corruption or construct roads and schools. For a newly independent nation, it will take time to build them. 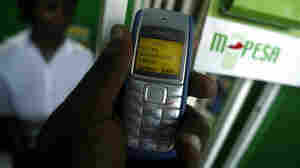 January 5, 2011  For the past several years, millions of Kenyans have been using their cell phones as mobile bank accounts. They pay bills, buy goods and send money to family members -- all by mobile phone. December 29, 2010  The drive to see the world has led to competitive traveling, where tourists tally up their passport stamps and visas. Two Americans are near the top of a group of 9,000 competitive travelers who keep track at mosttraveledpeople.com. Will Focusing On Southern Sudan Prevent Genocide? December 15, 2010  Tens of thousands of people are streaming back into Southern Sudan, anticipating that the region will choose independence in a referendum next month. But the south is desperately poor and undeveloped. Some observers wonder whether the would-be nation can handle many more returnees. Will Sudan Vote Make A New Nation, Or War? December 14, 2010  Next month, the people of Southern Sudan will choose whether to break up Africa's biggest state and create the world's newest nation. Much is at stake, including most of Sudan's oil reserves and -- potentially -- peace in one of the continent's more volatile countries. December 12, 2010  A referendum next month in Sudan will decide whether the country will be divided between the Arab, mostly Muslim north and the ethnic African south. Whether things turn bloody may hinge on what happens in Abyei, a disputed region along the border of north and south. December 10, 2010  The people there will soon vote about becoming the world's newest country, but you have to wonder sometimes how they are going to do it, because there is so little infrastructure. November 16, 2010  In Southern Sudan, voters are registering to cast ballots in a January referendum that could see Africa's largest country split into two. Many people in the southern part of the country plan to vote for independence from the north. 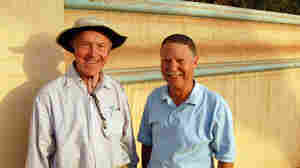 They have vivid memories of a civil war that left an estimated 2 million people dead.